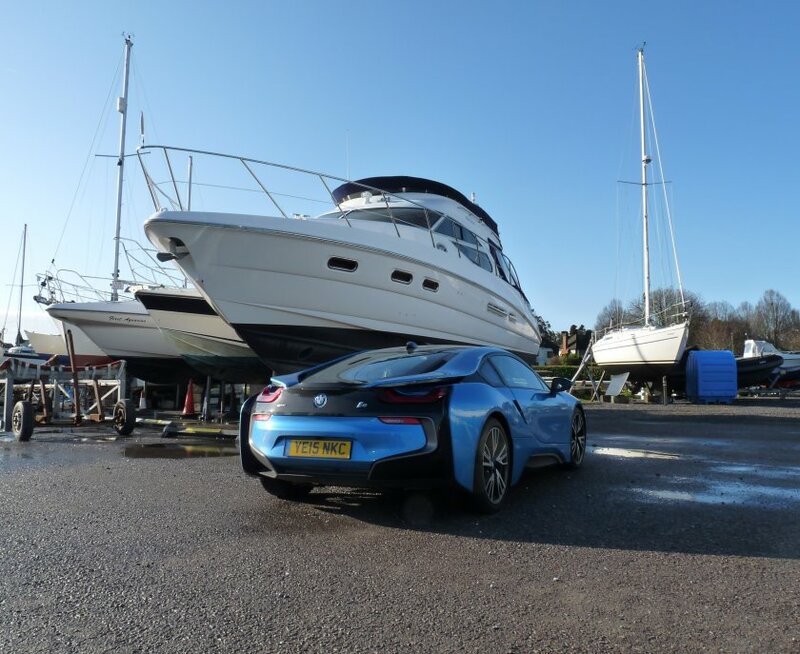 Ian Ryder is a motoring contributor to Lucire. 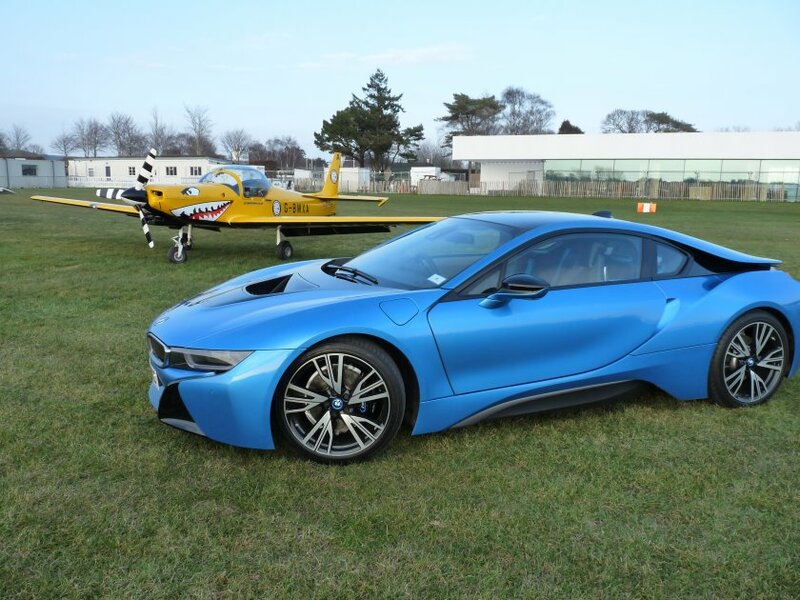 Get quick facts on the BMW i8 at Autocade. When was the last time you felt great? I mean really great … as cool as your frosted champagne flute, as hot or classy as when you put on your favourite Dior, Chanel, Cartier or Louboutin selection? Please stay with me as I tell you about a four-wheel special that actually does feel as if you are putting it on every time you slide into your driver’s seat and close the vertical opening “butterfly” door with a solid, expensive “clunk”—and it does make you feel that good! 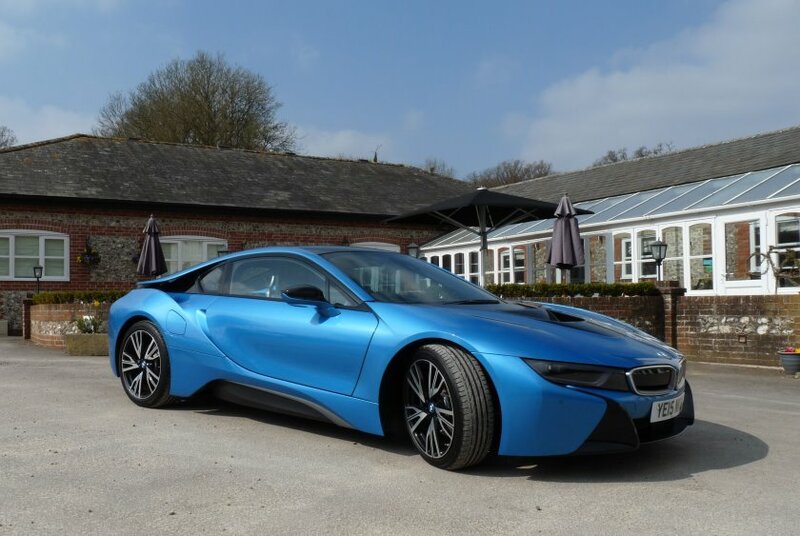 The BMW i8 is their spectacular hybrid supercar which boasts a speed-limited 250 km/h (155 mph) and 4·4 s 0–100 km/h (62 mph) performance, alongside government figures of 134 mpg (2·17 ℓ/100 km)! Clearly, although the gentleman at BMW explained to me he had recently had to take someone out to prove this figure could be attained, in normal driving you should expect something closer to 40 mpg (7 ℓ/100 km). But who cares? The way that this car delivers its instant response power from the combined electric–three-cylinder 1·5 turbocharged unit delivering 362 PS is nothing short of mesmerising. It is a technological wonder, way beyond my understanding, but whether you are gliding silently along using the electric power only (pedestrians beware! ), or you have flicked the selector lever to the left and can hear the beautifully toned growl of the engine as your well designed display turns from a normal, cool blue, to the red which says, ‘Let’s go,’ the response to your right foot is instant. There are those who say a car is just a car, something to get you from A to B, and that is a view. But tell me honestly, how do you feel when you walk towards your car in the car park, or look at it in the driveway? Proud? Excited? Nothing?! A car is not just a car—it is an extension of you. 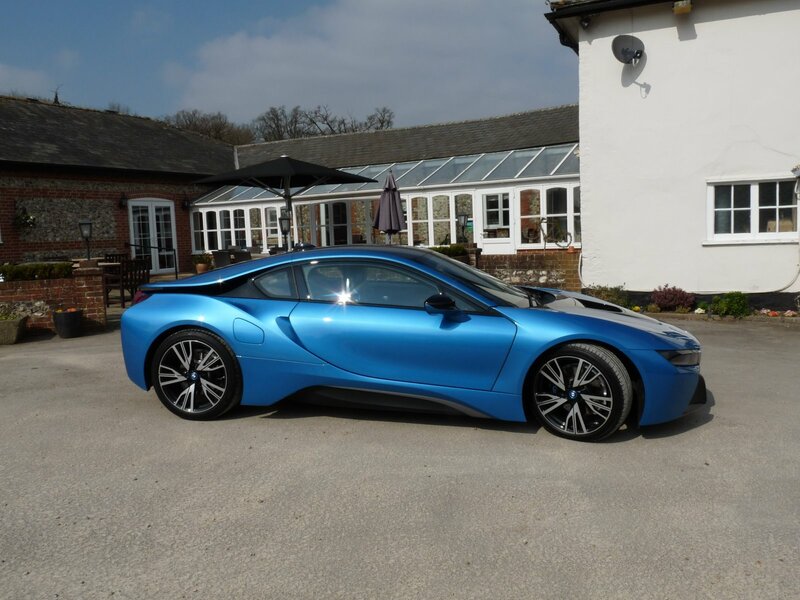 The BMW i8 design, I predict, will be one of those that is not only hugely contemporary, but will age with grace and class to become one of the design icons of the automotive world. 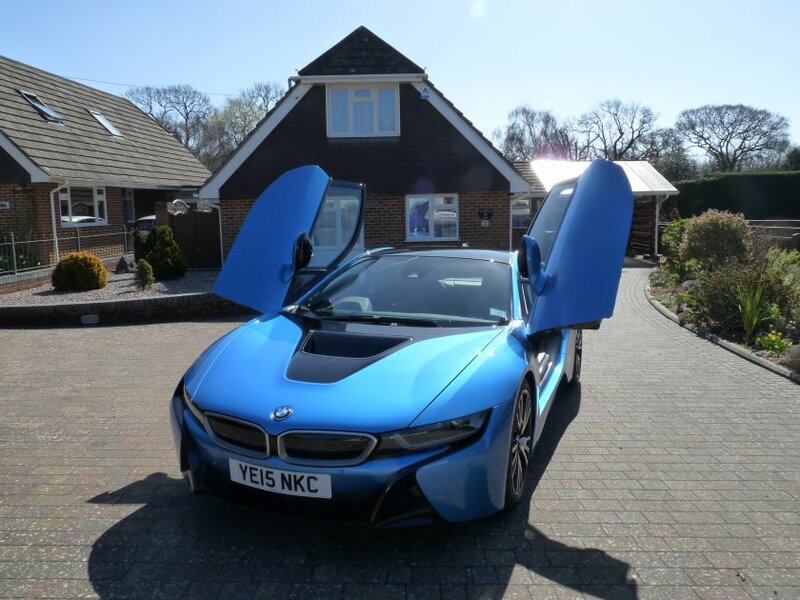 Its stunning good looks and exceptional performance gives it the permission to enter the same revered halls as the Lamborghinis, Ferraris, Porsches and Mercedes-Benzes I have driven. Now, one of the first things I realized about this car was that you do not buy one if you are shy or want to travel incognito! 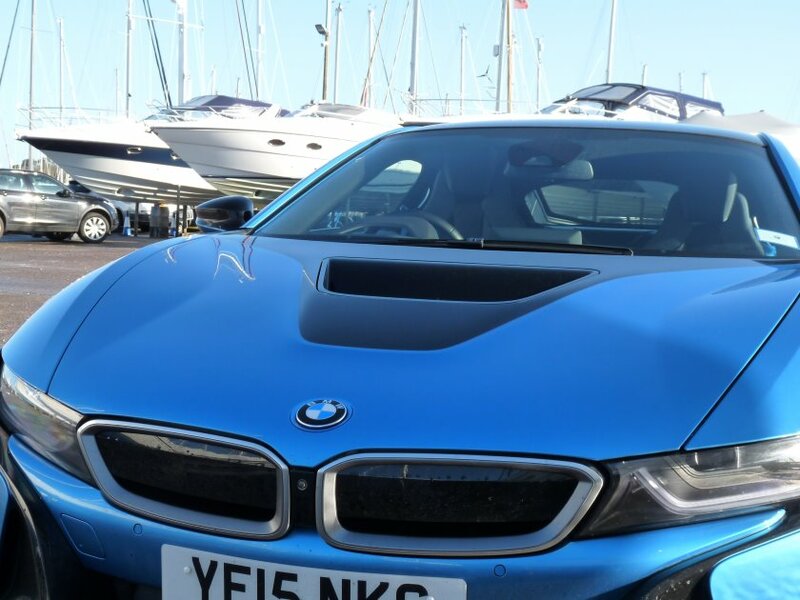 From my first journey down from BMW Group HQ in Farnborough to my home at the beach in West Sussex, I was amazed at the number of people who passed me on the motorway and actually smiled at me! (I was sticking with the speed limit to “feel” the car on first meeting!) There was also that strange respect that sometimes happens when you cruise up behind a car and they gracefully move aside and look approvingly at you as you flow past. Equally, I never once got out of the car without someone immediately commenting on the car and asking if I minded them taking a picture of it! And speaking of getting out of the car, or into it, ladies should be aware that the raised sill over which entry is made is not designed for short-skirt grace and modesty. 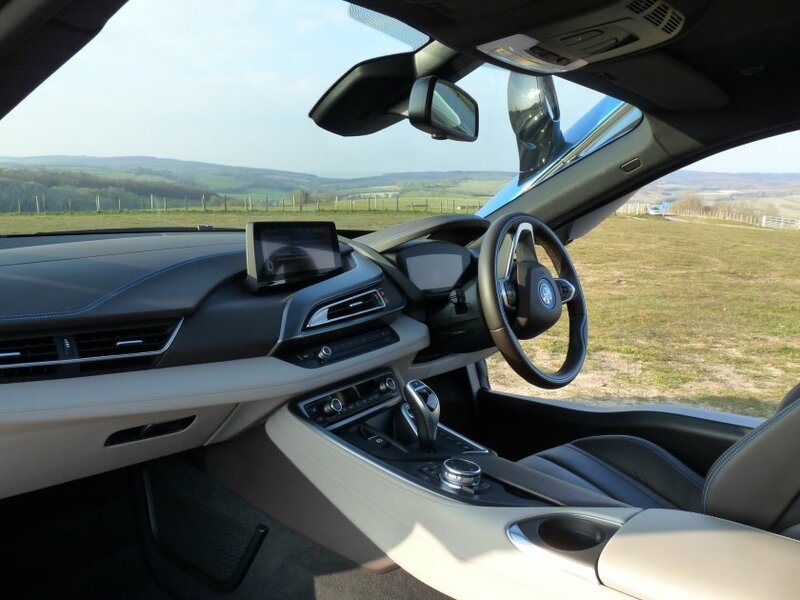 Back to the cabin space then: when you put your foot on the brake pedal and press the Start–Stop button, you are rewarded with “the world according to BMW” lighting up both the central display screen and the driver’s control panel in front of you. The central screen is your communications centre for the Idrive (or iDrive, officially) system which, although initially a bit daunting, is actually pretty easy to fathom and has some seriously cool features. Like the Deezer Online Entertainment which gets you online to a world where you can select pretty much any music or artist and it is streamed directly into your cabin. 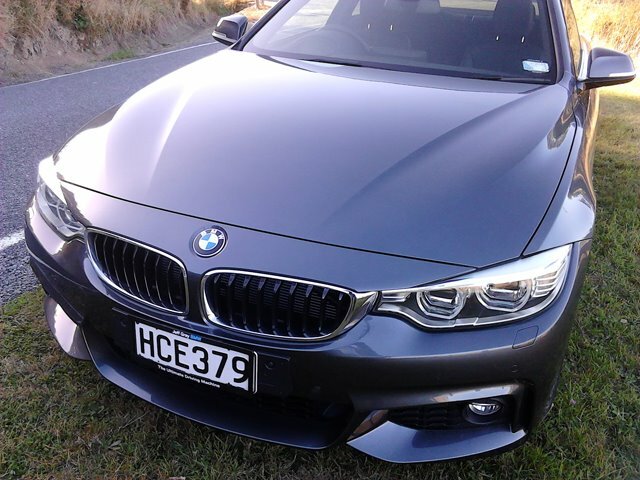 It can also tell you everything you wanted to know about your car, of course, and get you into the regular, expected tools like sat-nav, which I must say was superb at giving me alternative options when it spotted traffic issues on the road some miles ahead. As you move off you will find a heads-up display at the bottom of the windscreen—this is not a distraction as you may think, but a very useful aid to driving with your eyes firmly facing forward supplying full knowledge of your speed, the speed limit in which you are driving, and any directional instructions from your sat-nav like the distance to your next turn and which direction it will be. Beware when wearing your anti-glare sunglasses though, as this somehow manages to make the heads-up unreadable. Once home I tucked the car up for the night in my garage with its 13 A power supply plugged in. This caused all the lighting inside to come on with a classy blue lit interior telling me it was enjoying feeding time. I was a bit surprised the next morning to find it had only “charged” to show me having 17 miles (27 km) available on the electric power as I had understood 25 miles (40 km) to be the available distance on full charge, but hey, I wasn’t complaining at this point. In fact my only two complaints with this automotive wonder, are these. Unless I didn’t find it, I was surprised there was no lumbar support adjustment for the driver, and, the most serious issue, my gym bag, which is not huge, filled the only available storage space. Now the fact is that you still have the space behind the front seats, as it is unlikely there will be anyone sitting on the two beautifully formed, but not really useful if you are over three years old, seats. 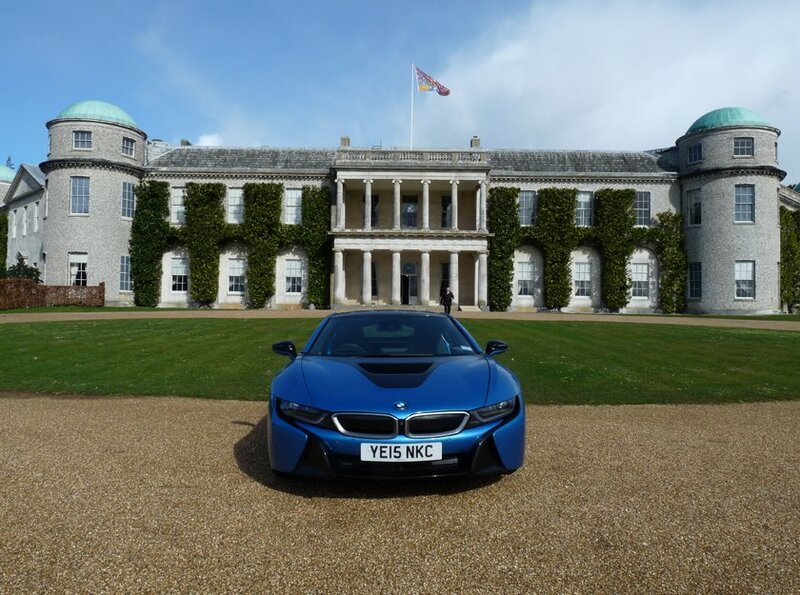 So there we are, happy again I set off, with more eyes on the car than almost anything I have ever driven, to what could be seen as one of the true global “homes” for cars and racing—Goodwood House and Motor Racing circuit. 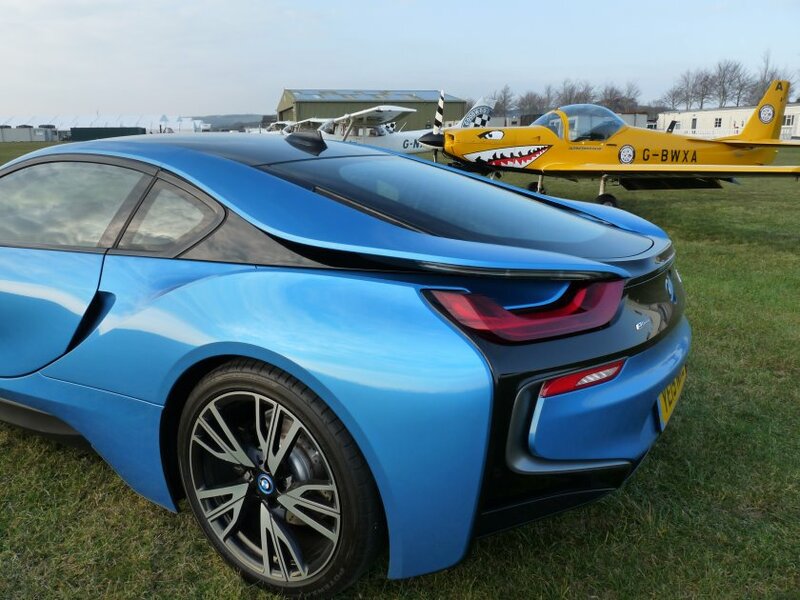 As a member of the Goodwood Road Racing Club (GRRC) I had called to ask if there was any chance at all of taking the i8 to photograph outside the home of the biggest gathering of car enthusiasts in the world, the Goodwood Festival of Speed. 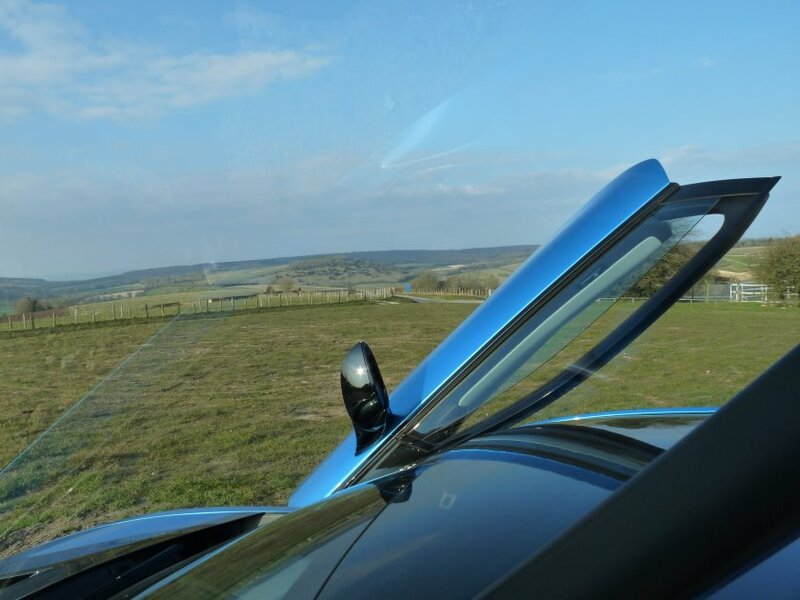 They were so gracious that not only did I cruise up the drive to the House, the car feeling as if it truly belonged, but I also had just been treated to a glorious “special” one-off permission to a few laps of the motor circuit, all on my own! If you get chance to really drive this car, you should set the car in Sport mode and watch your control panel turn red. 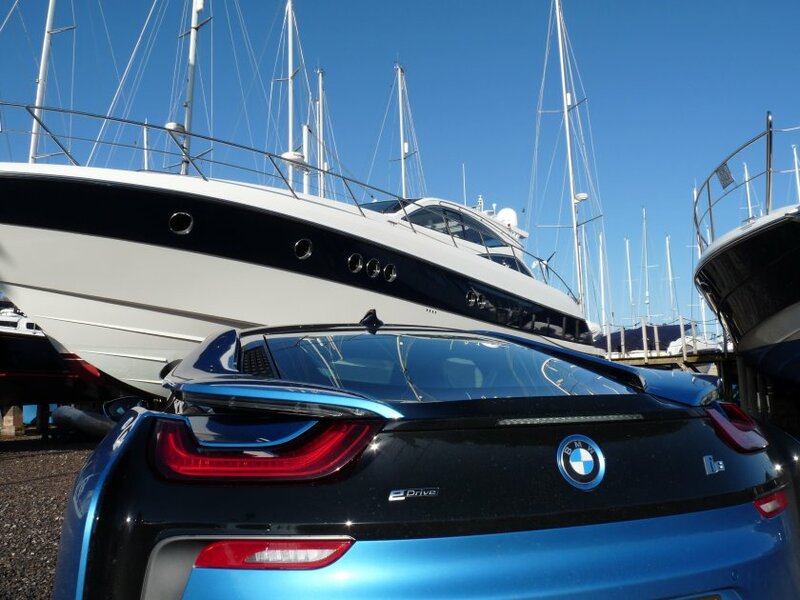 Listen to the engine note, like the feel of velvet on your skin, and then … hit the floor with your right foot and either use the paddles to change gear or allow the very clever gearbox to change for you at maximum revs! This car handles. This car grips. This car makes you feel like you can really drive! 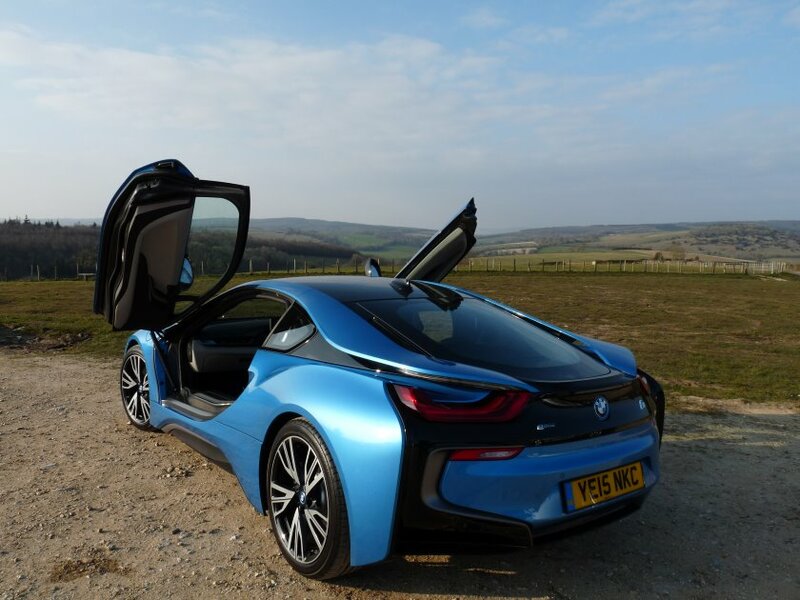 It is probably one of the safest, very fast cars you could drive because BMW engineers have built a truly superb car which sounds like all the music you ever wanted to hear from your engine—certainly better than the “new” offbeat F1 engines we are forced to listen to these days. 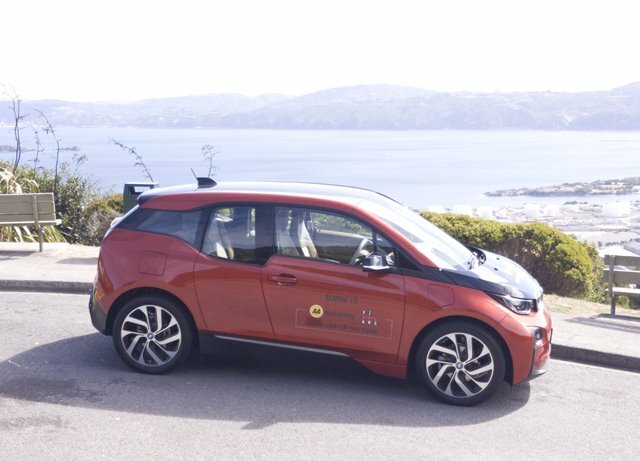 Interestingly, the batteries got a good charge as I was on the track because in Sport mode the smart engineering recharges the batteries every time you take your foot off the accelerator or when you brake, yet more clever stuff! But let me conclude by saying a couple of things. 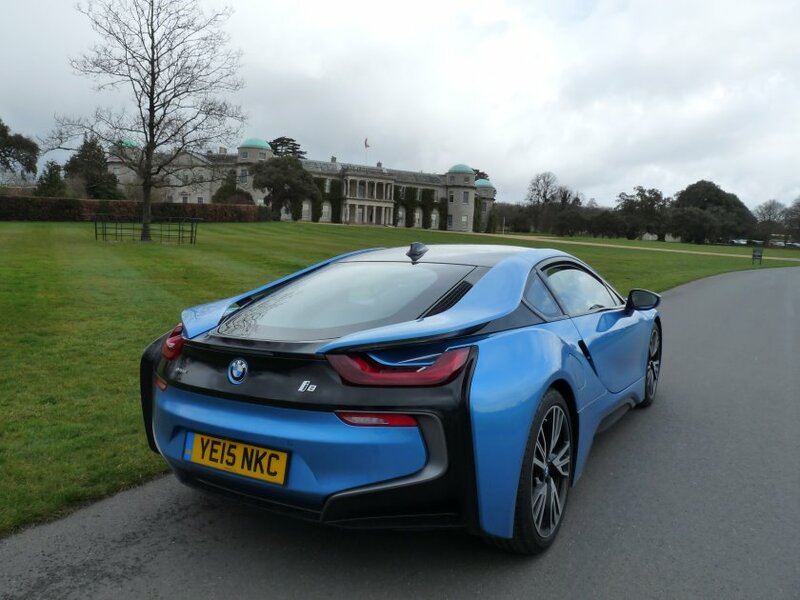 I must thank BMW Group UK for the loan of their wonder car, and absolutely have to thank the whole of the Goodwood team for all their help in the testing and photo opportunities they provided. The last thing I have to say is: at least try one! I can promise you will have a smile on your face and a lightness in your heart.